To search for a holiday villa on VillaSeek.com, simply choose the country you'd like to visit, and press Search Now. Eurostar saw only slight increases in sales and carryings last year, with leisure travellers helping to boost numbers. This marginal increase is still a reasonable success as the figures also include the period of disruption in Eurostar services over December when trains got stuck in the Channel Tunnel due to adverse weather conditions. 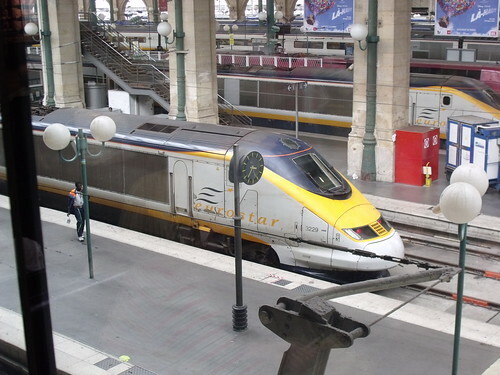 Eurostar apologised “unreservedly” for the problems that occurred in a recent letter. It explained that it has put in place a number of operational and communication improvements to ensure that its trains have greater resilience to extreme winter weather and it is better placed to look after its customers when disruptions do occur. An independent review of the disruption will publish its findings at the end of the month. The review will focus on the causes of the disruption, contingency planning, the arrangements with Eurotunnel as well as the passenger care during the disruption and suspension of service. An upturn in overall sales for 2009 meant that revenue for 2009 increased by 1.7%. This was boosted by strong leisure sales, up by 15.6% year-on-year. “Whilst the economic environment remained challenging throughout the year, the second half of 2009 saw a ‘bottoming-out’ in the business market,” the company said.